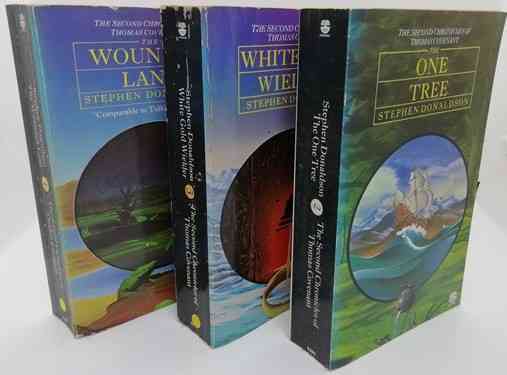 3 Volumes paperback editions of the FIRST CHRONICLES OF THOMAS COVENANT, by Stephen Donaldson and published by Fontana. 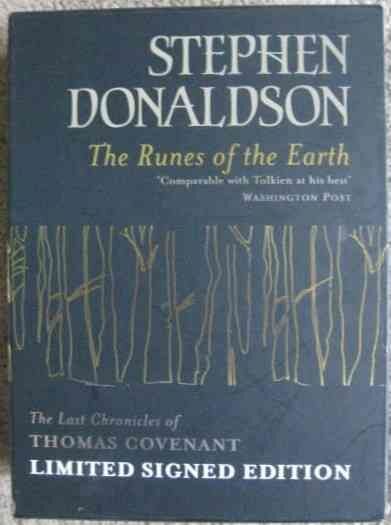 The books themselves are in very good condition indeed, with minor shelf wear and minor tanning to the pages (Volume three has a creasing across the front top corner but nothing drastic ). In each book , the pages are firm and tight.There are no tears, no inscriptions and no creasing to the spine. 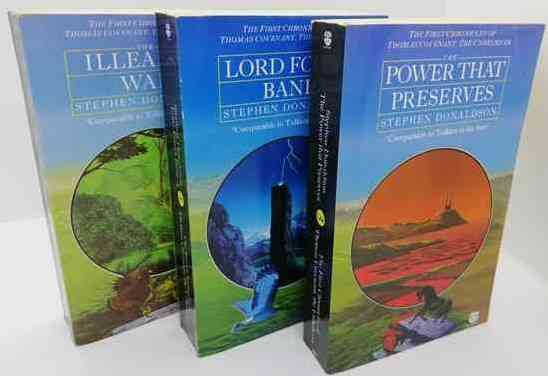 Three thundering good novels, all in very good condition.